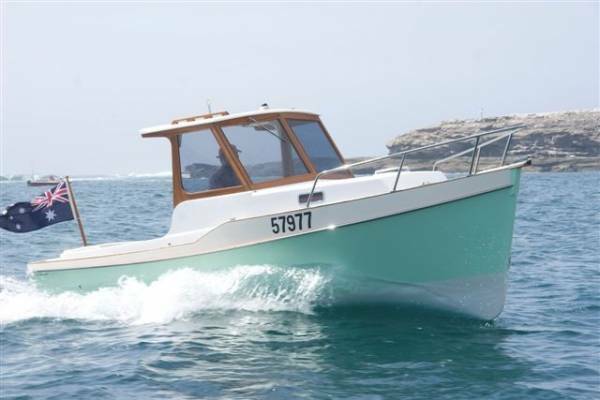 The hull of this particular Sanctuary 620 is custom built from timber composite construction. The hull has been strip planked in Paulowina timber and sheathed using multiaxial E-glass with the very best quality Epoxy laminating resin. 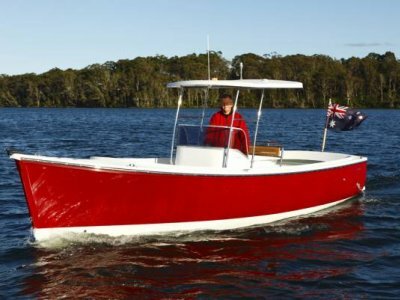 The combination of these materials creates a high strength timber boat that requires minimal maintenance. The hull is finished in high gloss polyurethane and features a high gloss Teak veneer transom. The deck structure is Dynel sheathed in epoxy resin over hoop plywood superstructure. The deck is finished in laid Teak for that beautiful wooden boat look. A high gloss varnished Teak open wheel house with full standing headroom is a feature at the forward end of the large open cockpit. 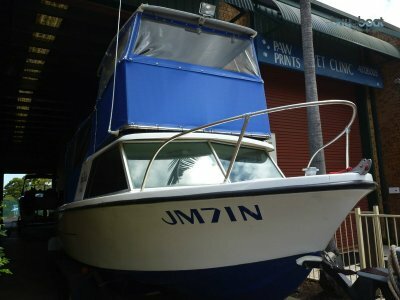 Internally the boat is painted with white High gloss polyurethane and finished with Teak trim, Paulowina ceiling is used as a hull liner and the hoop pine deck superstructure is finished in a high gloss clear. The cockpit size is what you would expect to find on a much larger boat. The U-shaped lounge is a great spot to enjoy your day out boating. This aft sun lounge has three internal storage lockers located underneath the cushions. With a volume of displacement of just 1240kg the hull exhibits great load carrying capacity and excellent stability for its size. The built heel/skeg allows the engine to be set down low in the bildge providing a more horizontal angle for the shaft and making a convenient sump for bilge water while also keeping the vertical center of gravity as low as possible to further improve stability. 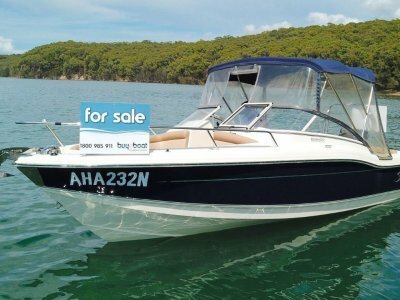 The 30hp Yanmar diesel engine will provide the power through a shaft driven 3 blade prop giving the boat excellent fuel economy and reliability. 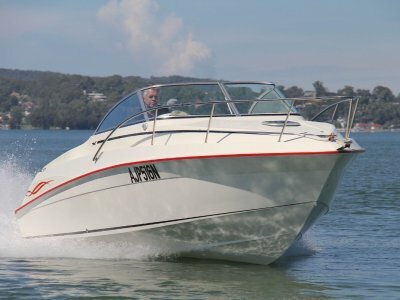 The boat easily crusies at 6-7knots on only a couple of litres per hour. Top speed is around 12 knots. The raised deck forward of the wheel house with low coach roof provides for a small cabin with 2 comfortable settee berths for overnighting and stowage of gear.